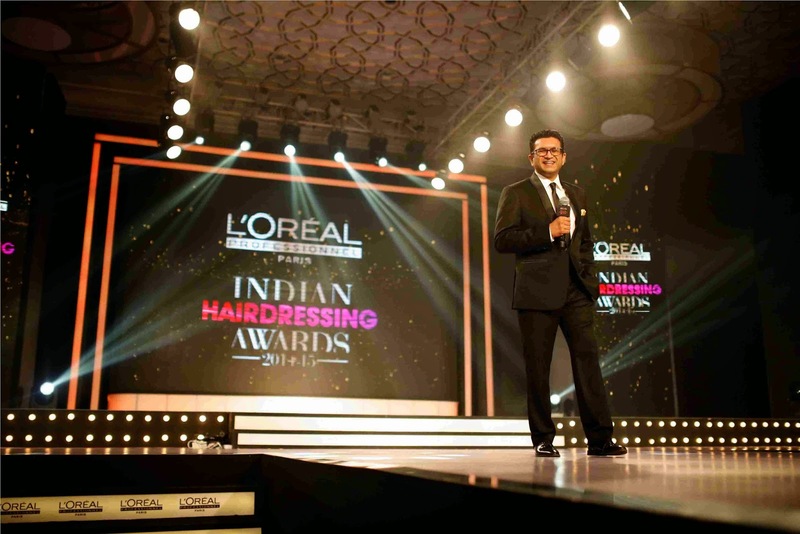 STARFRIDAY : L'Oréal Professionnel Indian Hairdressing Awards. L'Oréal Professionnel Indian Hairdressing Awards. 39 teams competed for over twomonths to reach ONE spectacular finale! India, February 02, 2015: The Colour Trophy in India has always been the benchmark in hair dressing awards, raising the standards of creativity and innovation with each passing year. After four successful years, L'Oréal Professionnel upped the ante by unveiling the Colour Trophy in its all new avatar as the Indian Hairdressing Awards. A platform that showcases the creative efforts of talents in the hairdressing industry, also introduced for the first time, the ‘Business’ awards, recognizing salons who demonstrate excellence in the business of hairdressing. Post 4 triumphant regional rounds, the Indian Hairdressing Awards Finale took place on the sunny beaches of Goa in the form of a 2 day Salon congress with various Master-classes and competitions between 1st and 2nd February, culminating in the grand finale awards night. The two day affair kick started with a session on cutting edge styles and techniques by world-renowned Parisian hair artist and L'Oréal Professionnel ambassador Laetitia Guenauo. Participating salons were also treated to a second workshop by London based, Julie Eldrett, a customer care consultant with over 35 years experience in the hair and beauty industry. The Grand Finale event night was fueled by immense creativity and glamour! Hosted by Shibani Dandekar, the 39 competing hairdressers showcased their looks on their models for an audience of over 500 people. 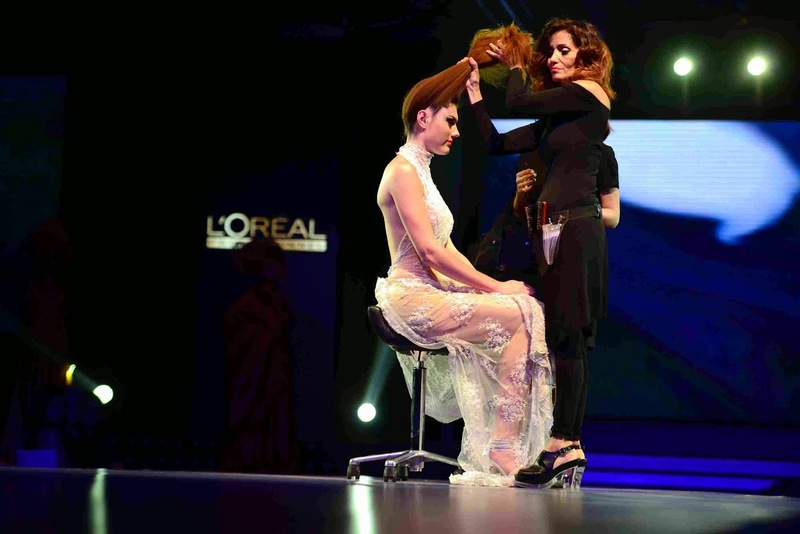 The L’Oreal Professionnel India Dream Team – 6 hairstylists known for their exceptional artistic skill enthralled guests with a live hair artistic show themed ‘Tribes’. The outfits created by designer Gavin Miguel had his signature style of detail and sophistication to set the right tone for the evening. The show was directed by renowned fashion choreographer, Anu Ahuja. The guests also witnessed a magnificent show by the L'Oréal Professionnel International Ambassador, Laetitia Guenauo titled ‘IT LOOKS’, showcasing hair designs from street and ready to wear looks, to more arty and prestige universes. The prestigious panel of judges gave away 9 creative awards and 12 Business awards. The panel included ace photographer Tarun Khiwal, celebrated makeup artist Anu Kaushik, Nishat Fatima, Editor, Harper’s Bazaar India and two of the biggest names of the International Hairdressing industry - Jo Hansford, the First Lady of Color and Michel Claire, Director for Professional Development for Professional Products Division, L’Oreal . The business awards were given away by Julie Eldrett and Manju Sara Rajan, Editor, Architectural Digest. A total of 144 teams competed at the regional rounds and only the best bagged the prestigious trophies! After the awards ceremony, celebrations continued with the winners and the attendees dancing the night away! It was a sound and light extravaganza and the ambience was a splendid translation of the level of creativity showcased. The event not only set new benchmarks, but truly inspired new trends in the hairdressing industry. Born in Paris, the capital of fashion and artistic inspiration, L’Oréal Professionnel has always been in tune with the artistic community; working closely with designers to create the inspirational hairstyles that will grace the catwalks, setting the hair trends of tomorrow. It has been committed to providing salon professionals with only the best in art, technique and technology. In India, L’Oreal Professionnel has strived to provide new development opportunities for hairstylists through superior products, innovative marketing, advanced education and access to a worldwide network of leading hairdressers. Education is a crucial part of success for L’Oréal Professionnel. From the company’s academies, to in-salon and on-location training, the company offers the professional salon community technical expertise, artistic inspiration and business building skills that bring self-improvement to individuals and empowerment to salon staff. The L’Oréal Professionnel Dream Team is a group of six of the country’s most artistic hairdressers. They together represent L’Oréal Professionnel by showcasing their talent at the brand’s various events, master classes and hair shows. The Dream Team works closely with the L’Oréal Professionnel Artistic Team continuously keeping themselves abreast of global trends and the latest in fashion. Sachin Dakoji, Creative Head, Mane’a Salons, Hyderabad: With over 20 years of hair dressing experience, Sachin is well known in South Indian Film Industry, and a favourite of many celebrities. Famed for his brilliant makeovers and exotic styles, he is a senior member of the L’Oréal Professionnel Dream Team, and a member of the International Haute Coiffure Française. Walter Dorairaj, Celebrity Hairstylist: Walter has worked on many Bollywood films and commercial campaigns for various brands. He frequently works on photo shoots for editorials of leading magazines. Walter won the Men’s Image Runner-up Award and the Man’s World Award at the L’Oréal Professionnel Colour Trophy 2011. Dhruv Abichandani, Artistic Director, Drama Salon, Mumbai: One of the youngest members of the prestigious Haute Coiffure Française, Dhruv represented young Indian hairdressing with the beautiful ‘India Show’ at Haute Coiffure Française, Paris in 2011. He’s the creative force guiding the team at the Drama Salon. Raman Bhardwaj, A.N John Salons, Kolkata: A member of the prestigious Haute Coiffure Française and a senior member of the L’Oréal Professionnel Dream Team, Raman has worked on hairstyles for the Kingfisher Calendar Girls in 2007. With 14 years of hair styling experience, he is known for his exotic and breathtaking work. 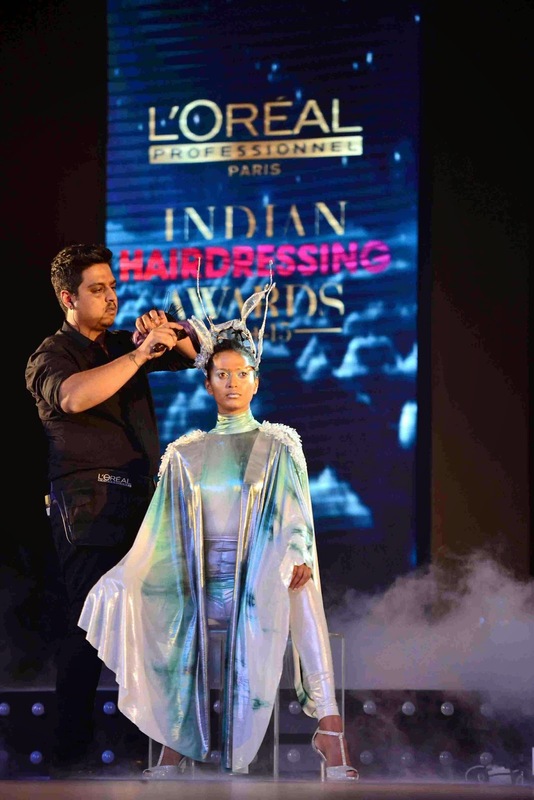 Akshata Honawar, Creative Director, Runah Salon, Mumbai: Member of the Haute Coiffure Française, Akshata was also part of the team that presented the ‘India Show’ at Haute Coiffure Française, Paris in 2011. She has been a part of the Creative Hairdressers’ Forum (CHF) for many years and has brought her expertise into styling for various fashion shows and for many magazine photo shoots. Carole Robequin, Senior Manager (Training) & Head Creative, Jean-Claude Biguine, India: With over 27 years of experience in hairstyling as a colourist, Carole has a beautifully refined language of hairdressing. She has managed salons across the fashion capitals of the world including New York, Singapore, Paris and Beijing. For the last 8 years she has been sharing her expertise through training hairdressers and building strong creative teams, and is often called upon for fashion shoots of various magazines.